To be a European Muslim addresses some of the fundamental issues born of the several million strong Muslim presence in Europe in our times. 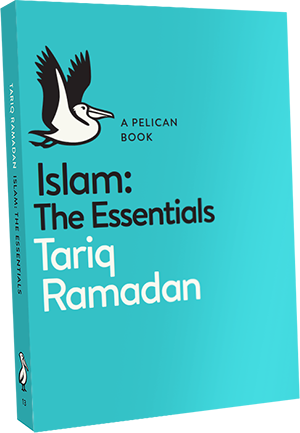 Based on a thorough study of Islamic sources, it seeks to answer basic questions about European Muslims’social, political, cultural and legal integration. The study shows that it is possible to lead life as a practising Muslim while ‘living together’ in multi-faith, pluralistic European nation states. `The study shows that it is possible to lead life as a practising Muslim while ’living together’ in multi-faith, pluralistic European nation states.´ It seems like this is a message both to western societies who reject islam as to second and ongoing generations of muslims who forget about islam and in fact do not practice in the west. Being as muslim in europe is a first task to became european muslim who loves his country and his continent Europe. Islam as religious reference , thats a great challenge for the future . islamic way of live . in Europe have the task to help effectivelly in a way to keep balace between religion ,politics,legislation and civil behaviour ; that’s the march of history ; isn’t it ? sense of human rights and a politic négation of the evolution of free citizens . And Europe wil stay Europe for ever . These are only some terror messages against the unknown future . foundate the european culture wich gives also to Islam his space of expression , to everyone his religious conviction but Europe it’s only one . nowadays target . Wat a stupid confusion. total political irresponsability, yes indeed ! but it doesn’t mind nobody among the population knows it ! The European countries imposed an immigration ban, the type of immigration shifted. Today most Muslim immigrants come either as asylum seekers or as part of family reunification. Many of the second generation migrants marry spouses from their former homeland. Some countries have tried to cut down on such immigration by passing strict laws, such as the Danish twenty four year rule. Thanks. Muslims believe that God is eternal, transcendent, absolutely one, and incomparable, that he is self sustaining, who begets not nor was begotten. Thanks.